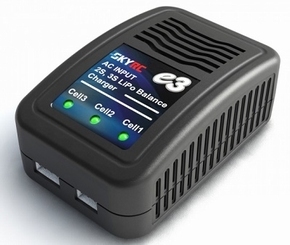 SKYRC e3 comes with the built in power supply. You can connect the AC power cord to the AC socket (100-240V AC) directly. 1)Insert the AC power cord into the charger.Insert the AC cord into a wall socket (100-240V). 2)All LEDs will light green and flash red to indicate the charger is ready to charge. 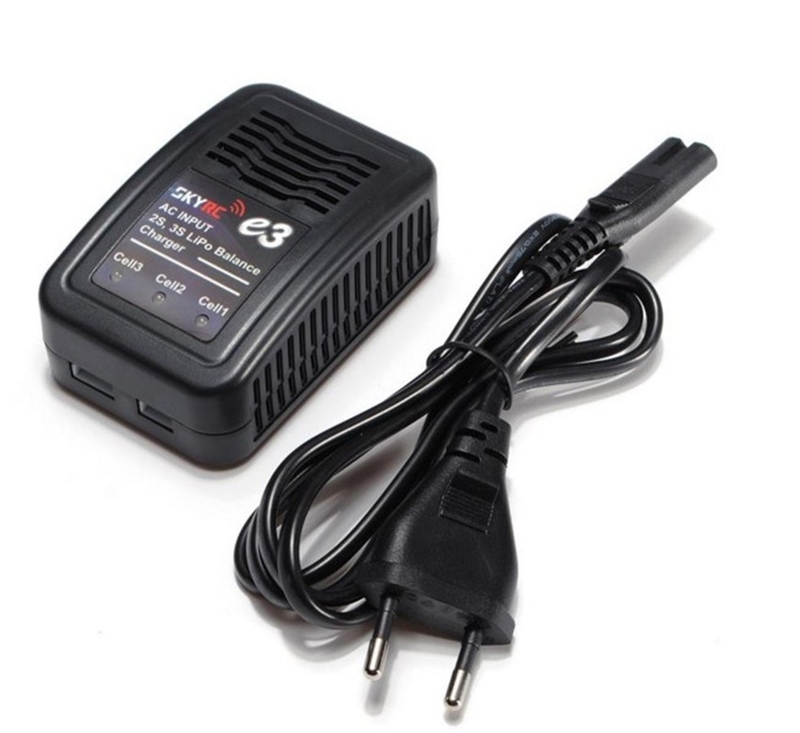 3)Connect battery balance wire to balance port which is in front side of the charger, after 2 seconds, the charger detects the voltage of the battery and starts to charge. 5)When a cell is completely charged, its corresponding LED will glow constant green. A 2-cell pack isfully charged when LEDs 1 and 2 are constant green. For 3-cell pack, all LEDs will glow constantgreen to indicate the pack is fully charged. 6)Unplug the battery from the charger and the charge status LED will stay green and flash red whichindicates the charger is ready to charge another battery.